escorts.Within Somalia, people are suffering from hunger due to conflict, displacement, and prolonged droughts. WFP provides food aid to millions of people in Somalia and some of its own staff have lost their lives carrying out this humanitarian mission. WFP officer Ibrahim Hussein Duale was killed earlier this year while monitoring a school feeding program. "This was a shocking attack on one of our staff while he was doing his job," WFP director Josette Sheeran stated. "Ibrahim was a good, honest man and worked extremely hard to assist those in need. Our thoughts and prayers are with his family, friends and colleagues." WFP Deputy Chief Operating Officer Ramiro Lopes da Silva states, "Our only goal in Somalia as an impartial international organization is to alleviate the suffering of the Somali people. We cannot do that when our courageous staff are being targeted." WFP runs school feeding programs to help children who are suffering during Somalia´s strife. School feeding is a key element toward building peace in a country plagued by violence. Jennifer Parmelee, a WFP officer based in Washington, says that "In Somalia, lack of food and education aggravate the lawlessness; ironically, it is the Somali refugee camps –- with their school feeding programs –- that offer young Somalis the best chance to make a future for themselves and for their beleaguered country." Abdullahi Khalif is a WFP Program Officer for Somalia and in the following interview he discusses how vital this program is for children and their communities. How many children benefit from the WFP school feeding programs in Somalia? WFP in Somalia is currently providing food assistance to 93,000 primary school children, 37% of whom are girls, in 373 schools. Most of the target schools are located in the most food insecure areas in Somalia. Nearly 3.2 million people in Somalia (over 40% of the entire population) need food assistance. Recurring droughts, prolonged conflicts, structural poverty, continuous displacements, and, above all, lack of a central government for nearly 20 years have seriously hampered opportunities for children in Somalia to enroll in, attend, and complete primary school. To reduce the impact of these problems, WFP Somalia began a school feeding program in 2003. Since then, the number of children benefiting from the program has grown significantly. In 2008, the number of children benefiting from the WFP school feeding program more than doubled from 2007. The agency carried out a baseline survey in 2008 to establish a school feeding databank. The information helps local administrations to see how they can be effective in achieving universal primary education and meeting the Millennium Development Goal (MDG) of education for all. Currently the project targets 60 rural and semi-rural, food-insecure districts in Somalia. 50% of the districts are in the Northwest, 30% in the Northeast and 20% in Southcentral Somalia. In 2008, attendance in WFP-assisted primary schools in Somalia was 97%, compared to attendance at primary schools as a whole, which was 92%. A recent survey conducted by WFP shows that 98% of teachers believe that children´s attentiveness in class increased due to the school feeding program. 75% believe that violence by children has decreased. Both boys and girls receive food twice a day. They receive porridge in the morning and an early afternoon lunch. The meals are made with rice, legumes, corn-soya blend (CSB), vegetable oil, and sugar to ensure that the nutritional needs of the children are being met. These meals provide the children with 927 Kcal, nearly half of the daily caloric needs of a 6-14 year child. This year, WFP will be running its school feeding program under its new Emergency School Feeding (ESF) strategy. WFP will be working to determine how many schools lack a school feeding program to get a better idea of where and how the program can be expanded. To encourage school enrollment and attendance among girls, WFP in Somalia introduced a take-home ration program. Girls who attend school regularly will receive a take-home ration of vegetable oil to share with their families. Communities have been encouraged to contribute to the school feeding program by providing meat and vegetables for meals, providing fuel or wood for cooking, contributing to the labor costs of the program, and taking responsibility for storing the food. This will enable communities to continue feeding school children when the WFP program eventually ends. Somalia remains one of the poorest countries in the world. There is no central system that governs funding for any social support sector; therefore, the country continues to depend on external aid. For the last eighteen years, schools have been supported by donors, the United Nations, and international NGOs. There are some schools that are funded by local institutions, but not many. WFP continues to support school feeding as a means of promoting basic education, with a goal of achieving the Millennium Development Goal of education for all. In addition, WFP supports the Ministry of Education and Community Education Committees (CECs) through capacity building programs to enable them to encourage their communities to send their children to school. 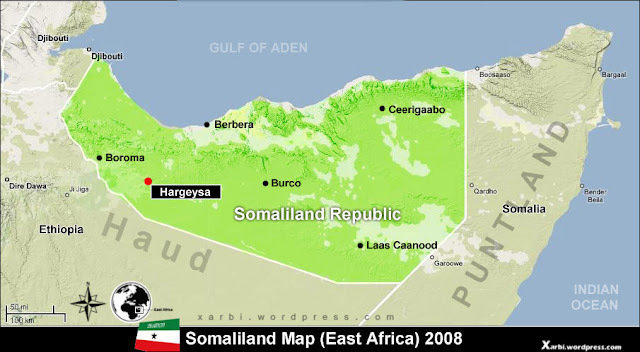 Somalia´s Government of National Unity was formed in Djibouti in February 2009 but is not yet operational in all parts of Somalia. Therefore, external support will remain the main source of funding for education in Somalia for the coming years. Due to Somalia´s current crises, the majority of the funding and donor priorities are directed to emergency activities. As a result, not as much attention is given to supporting education, including the school feeding program, as it is considered a recovery activity. This has greatly impacted the expansion of the school feeding program. Due to the dire humanitarian situation in Somalia, the country will no doubt remain in the emergency and recovery stages for the foreseeable future. At a local level, in-kind support would be beneficial. A focus on capacity building for the Ministry of Education and Community Education Committee will help ensure that the school feeding program is implemented efficiently and effectively. Donors can give resources to support many specific projects. In the U.S., donors can visit the Friends of WFP website. Donor support of proper nutrition and sanitation, specific support to girls to ensure that they stay in school through adolescence, the provision of deworming, health, and nutrition packages, and the support of school gardening are all welcomed. 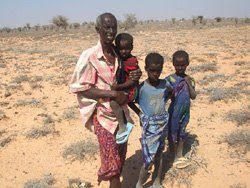 The 2008 short rains seasonal assessment, which shows changes in the food security situation, confirms that the people of Somalia are facing a humanitarian crisis. Over 40% of the Somali population - 3.2 million people - are in need of emergency life-saving assistance. This situation could have grave effects on children´s school enrollment and attendance. Many schools without school feeding programs could be closed, and some others might suffer from lack of enrollment and attendance. Donor support to the school feeding program and emergency school feeding will help tackle this problem. In addition to increases in enrollment and attendance and the retention of students from year to year, school meals clearly contribute to good nutrition and food security within the household. If school feeding is not supported, children from less fortunate families will most likely suffer from lack of education and inadequate nutrition. They will receive little relief from short-term hunger.